New for Cruise 2019, this chain wallet is designed in a fresh and distinctive silhouette. It is carefully crafted with a centre panel of handwoven intrecciato framed by smooth nappa. The contrasting-hue interior is fitted with a zip compartment and eight card slots. 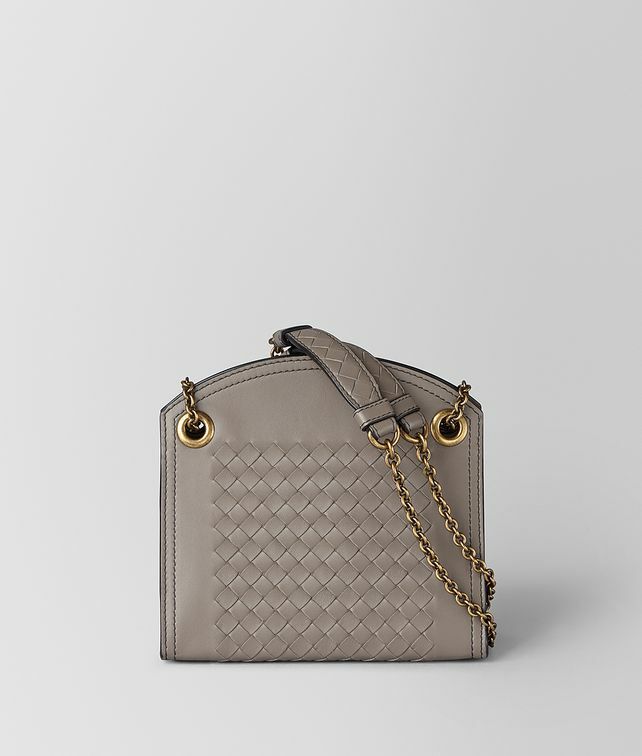 Wear it on the shoulder or cross-body by adjusting the sliding leather-and-chain strap.